This photograph depicts Mr. Cook who farmed Shrublands before the site was acquired for the Great Yarmouth Borough Council, eventually to become The Shrublands Youth and Adult Centre in 1949. Alan Dore and its believed the lady is Mrs Bird, both posing for a photo from the centre's cafe. Cottage at the entrance where Mr Macey lived during his years as Warden. Used now as offices by Norfolk County Council. Newspaper article on the future developement of a Medical Centre in the grounds of the Centre. One of the many modernisations to the canteen. Over 60's room and garden area. Photograph of building work to make an extension to the theatre scenery bay. Photograph of the kitchen / cafe in the farmhouse. 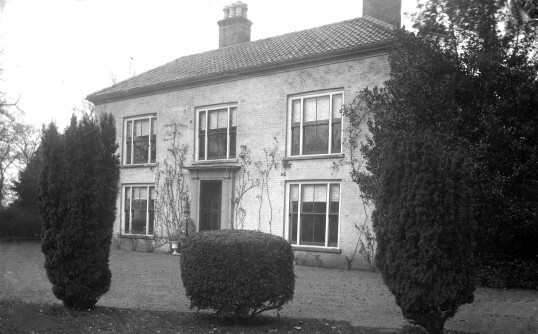 Photograph of the main house. Photographs of the official opening of the 21 Room. South view of the grain bar and bullock yard. Looking from the main house into what was to become the quadrangle. The old pony sheds converted into a meeting room, then the over 60's club room, now the reception office.